« Spend Mother’s Day with Casa de Bandini! Why wait till Sunday to celebrate Dad? 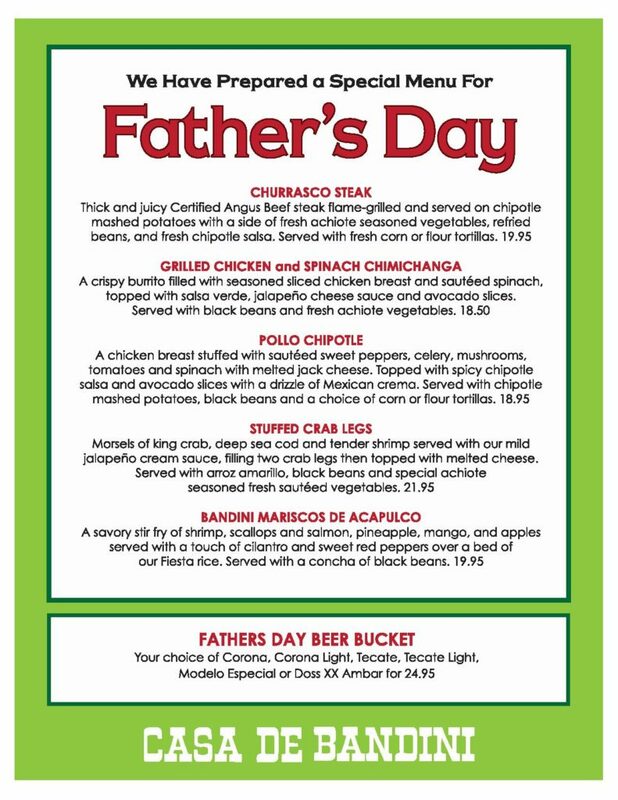 Our Father’s Day specials start this Friday! This entry was posted by The Bandini on June 14, 2017 at 12:26 pm, and is filed under Blog Entries. Follow any responses to this post through RSS 2.0. You can leave a response or trackback from your own site.